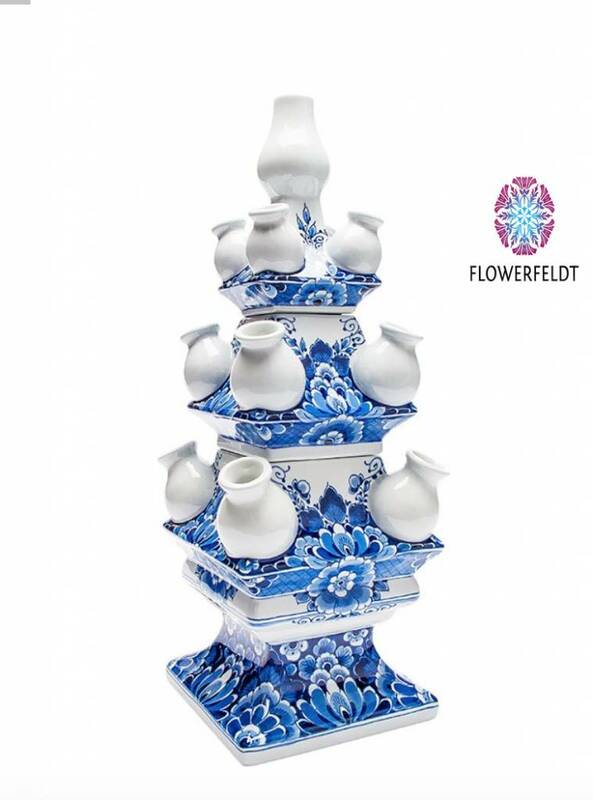 Stylish tulip vase DeLuxe in delft blue. 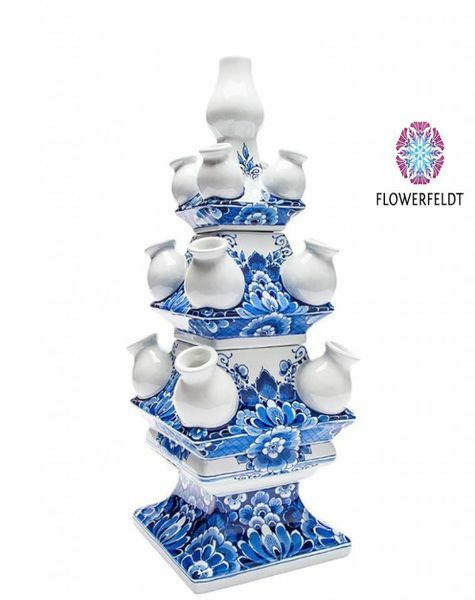 Extra large delft blue tulip vases consist of three stackable parts. Ideal decorative vase for single cut flowers. This stunning tulip vase in floral pattern has a retro look. A gorgeous product and worldwide style icon!